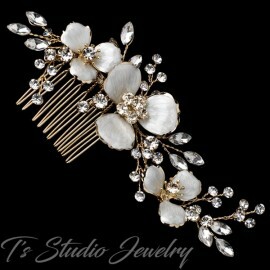 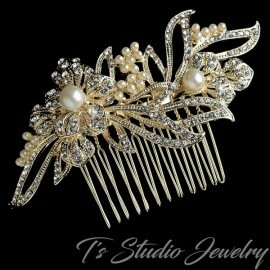 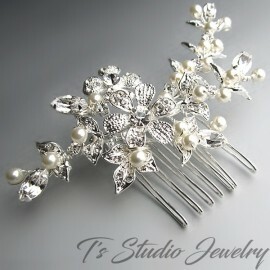 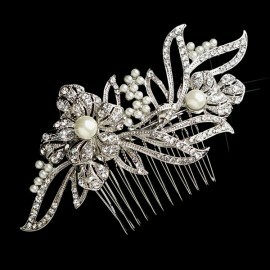 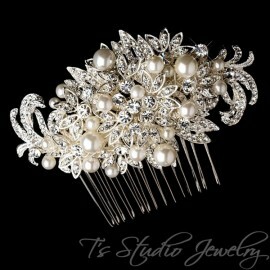 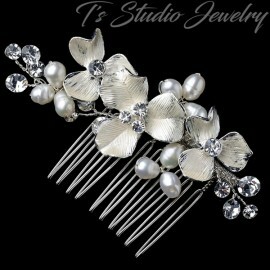 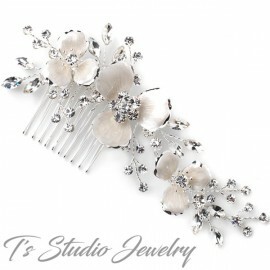 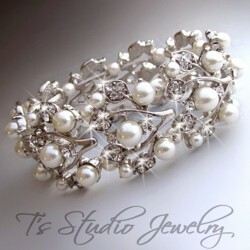 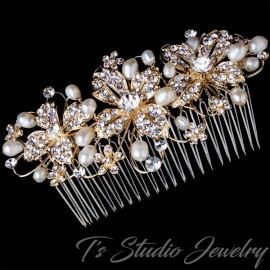 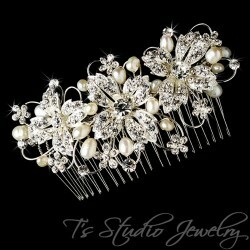 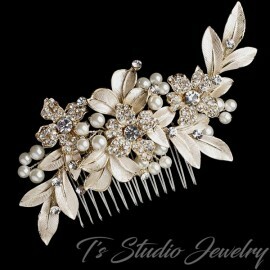 Pearl and Rhinestone Silver Floral Bridal Hair Comb with Ivory Freshwater Pearls - also available in gold tone. 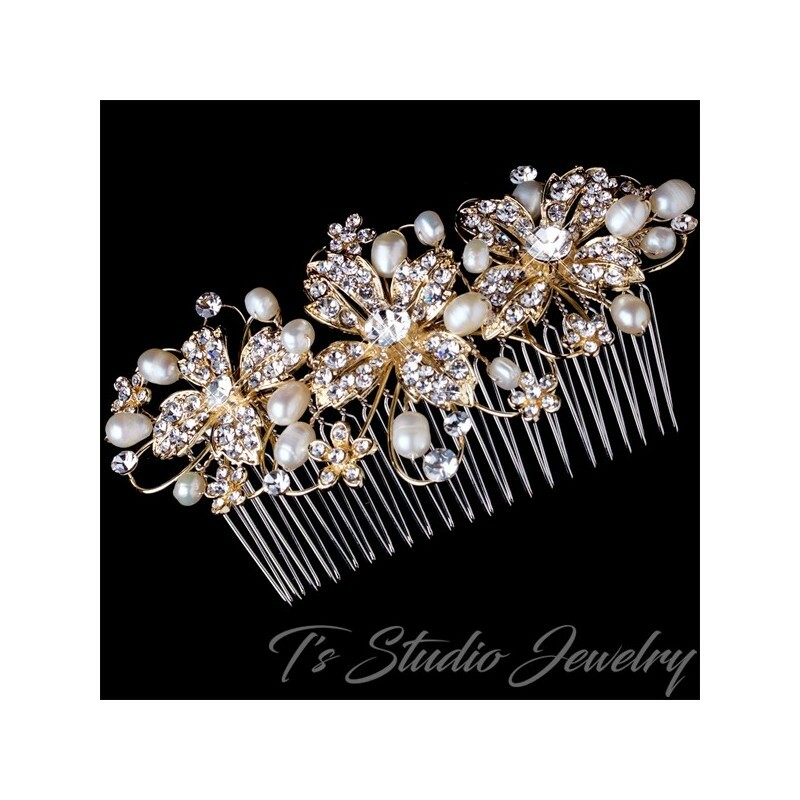 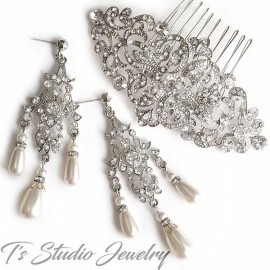 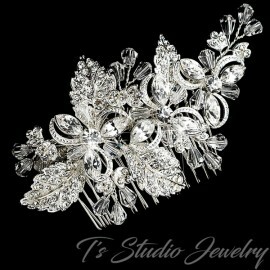 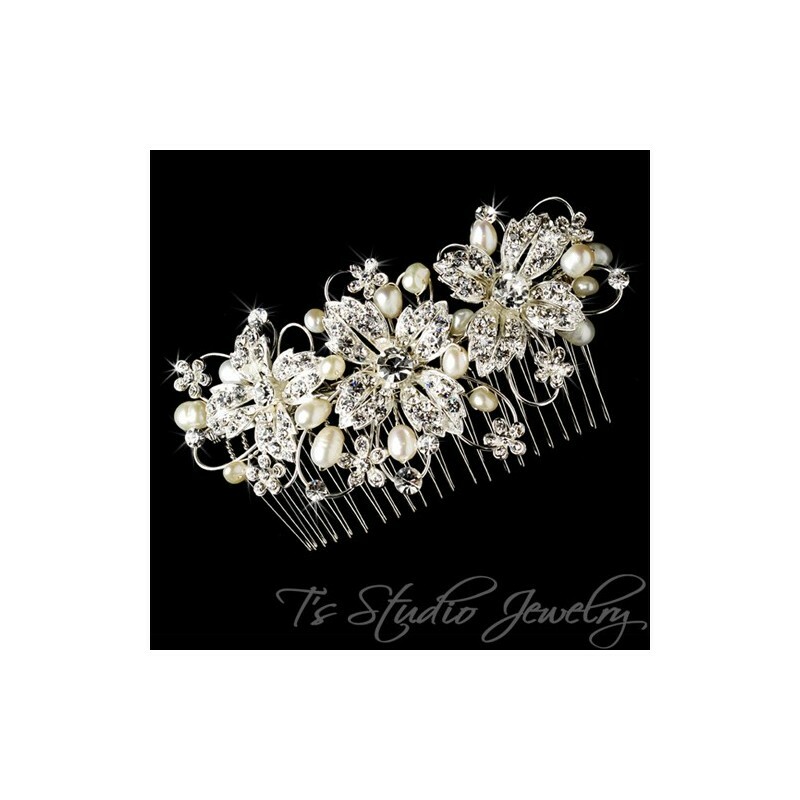 A truly exquisite bridal hair comb with lovely silver plated flowers encrusted with glittering clear rhinestones and accented with ivory freshwater pearls. 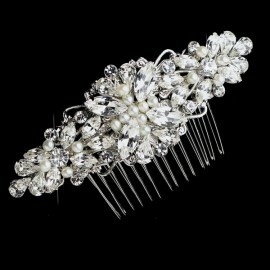 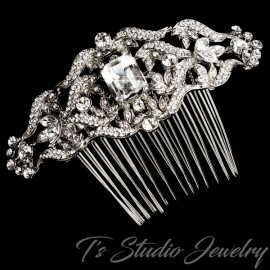 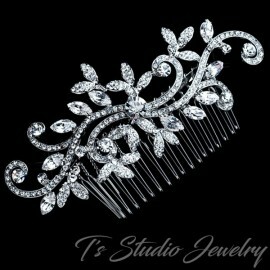 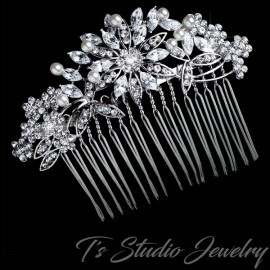 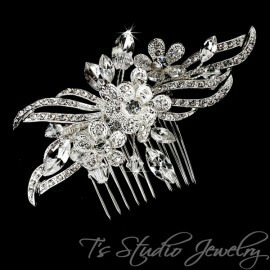 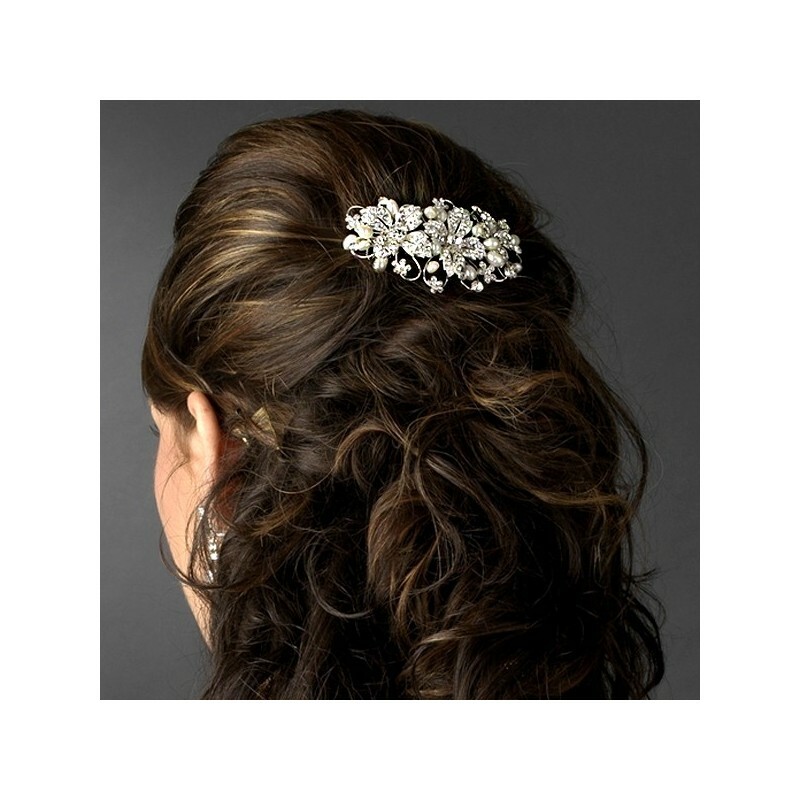 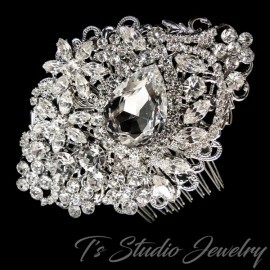 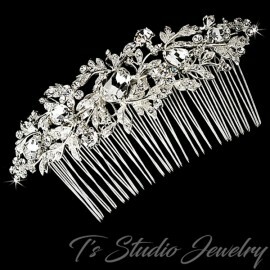 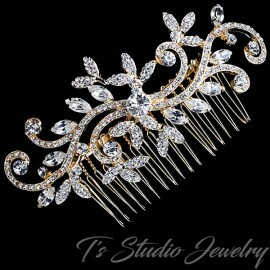 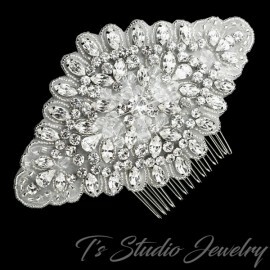 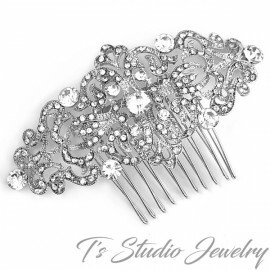 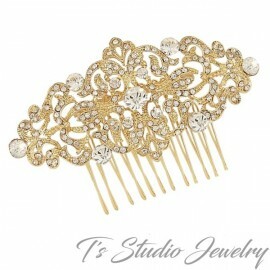 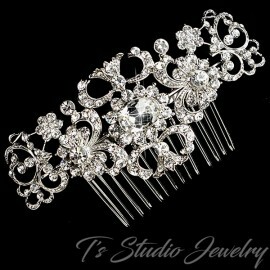 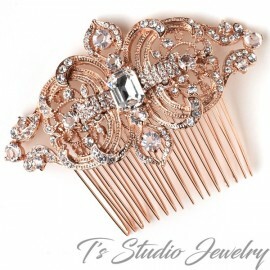 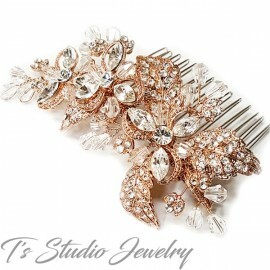 Bring an extra touch of elegance to your bridal hairstyle with this stunning hair comb.